CrossGen artist George Perez stopped by with model Diana Knight, who poses as Wonder Woman and other characters at cons. 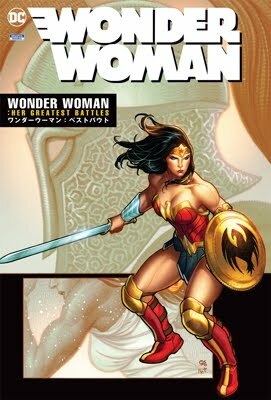 George is one of the most famous and nicest comic book artists in the field. He was also a guest artist in the 8th issue of The Winged Tiger comics & stories. That same issue features Danny DeAngelo's Major Impact on the cover. The 8th issue of The Winged Tiger Comics & Stories makes its debut at MegaCon, March 2-4, 2001 in Orlando, Florida! This special issue takes Patrick Rabbit all over the United States including a very special visit to his hometown of New York City! The real highlight of the story is when Patrick meets artists and authors in Massachusetts including Children's book author Jane Yolen! We will introduce this issue on our East Coast tour (Florida to Boston) in March 2001. As always Lieve Jerger has done a brilliant job coloring and touching up the cover for this issue in her computer. Be sure to click here, or on the image to the left of this paragraph to see a larger view! MAJOR IMPACT--like CAPTAIN AWARENESS--awaits proper funding before I can commit to publishing another book. However, the character does appear regularly in Cartoonists Across America's WINGED TIGER COMICS & STORIES and will be featured in an upcoming computer-animated story on their website at www.ideaship.com (the artwork is all done, and I am awaiting the computer animation by Orbit Comics). 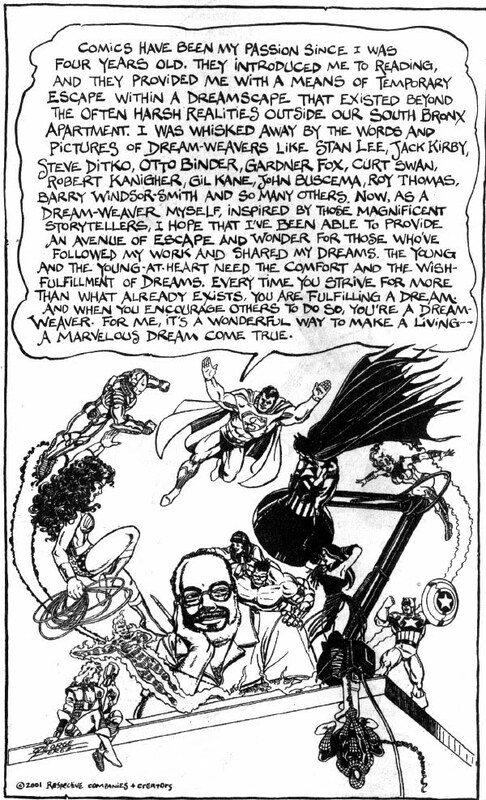 By the way, George Perez has also contributed art for the next issue of WINGED TIGER (#8), which is set to debut at Mega-Con next year, so you may want to note that on your website. This art was originally done for the cover of a local newspaper that did a feature on George and was re-used with his permission so it could be seen by more fans.